I’d been overweight my entire life. I was the cute little “chubby” kid who never lost the baby fat. I tried all different types of weight loss programs. Sometimes they worked — but the weight loss never lasted and neither did the desire to stick to the diet. It seemed the harder I tried, the more weight I piled on. I hated the way I looked. When I started buying clothes in 3X tops and size-22 slacks, I knew I had reached my limit. 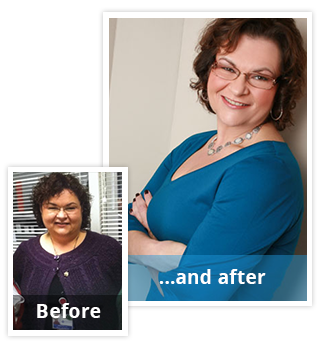 That’s when I decided I needed to gain control of my weight and called the New Jersey Bariatric Center® for help. I wanted to lose 100 pounds and I knew it would be a lot of work because the doctors were honest with me from the start. They told me surgery is not magic, and they were right. But knowing that made me work even harder. It was up to me to follow the rules that the doctors and dietitians gave me and I knew if I did what they said, the surgery would work. And it did. I no longer take blood pressure medicine. I no longer take cholesterol medicine; I’ve traded my medications for exercise and vitamins. My confidence level has soared. I’m so happy with my life since my surgery and give my thanks to the doctors at New Jersey Bariatric Center® for that. It was their compassion and love of what they do that made me a success.